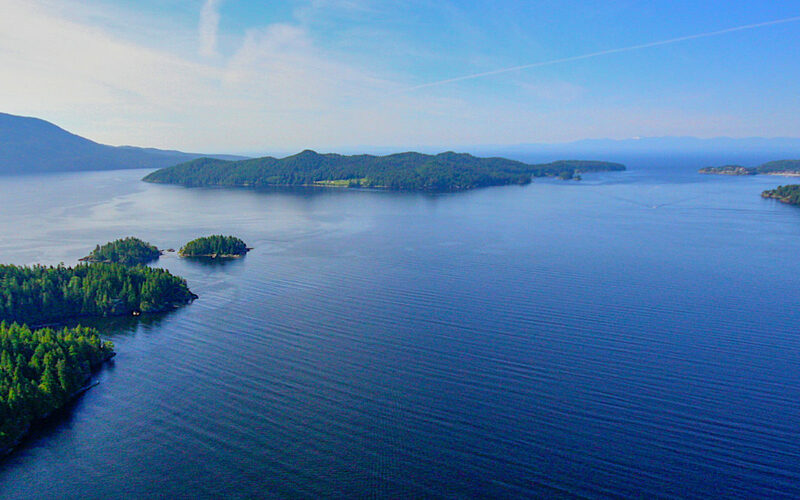 Established in 1974 as a response to what was, at that time, a disturbing trend towards over development, the Islands Trust now governs land use and regulates development on 13 major islands and hundreds of smaller islands off the south coast of BC between Vancouver Island and the mainland. While utilities such as emergency services and schools are provided by other agencies, the mandate of the Island Trust is to ensure that the unique ecosystems within the trust area are protected, and that development is monitored to ensure sustainability. And since the Trust is a government body, it elects local representatives every three years to apply its mandate. It’s almost impossible to imagine that an elected body, mandated to protect fragile ecosystems, would find it an easy job to balance that work with the need to ensure that they don’t impede the economy of the local citizens, numbering over 25,000 in the area governed by the Trust. But balance it they must. The Islands in Howe Sound fall under the stewardship of the GAMBIER ISLAND LOCAL TRUST here you will find zoning regulations, maps,meeting notifications, etc… a very relevant site!